Venture deep into the woods where salvation can become a nightmare. "Octave is a bit challenging at first, but once you figure out the navigation the game becomes much easier. Great graphics and a good plot that is easy to follow." 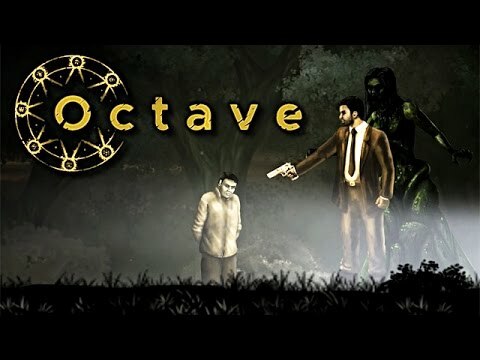 Octave is a point 'n click horror-adventure with elements of action and quests. Play the role of a guy who happens to be in the wrong place at the wrong time. You are dragged into a dark forest, but on the verge of death, you are mysteriously saved from your killer by a someone or something. As you venture deeper into the woods, you find yourself surrounded by atrocity. You realize that salvation can turn out to be a real nightmare. Featuring a mysterious dark forest, atmospheric scenes with creepy shadows and monsters, and an old house full of puzzles and paranormal activities, the struggle for life has only just begun in Octave.